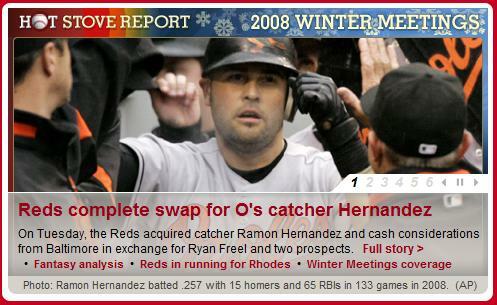 So, those Reds traded Ryan Freel, eh? Might actually be a decent move, I suppose, but against the backdrop oft he cluster that is Dusty Baker’s management, it’s hard to see this move as anything other than more of said cluster. In any event, the massive level of annoyance that it aroused in the Red Hot Household was enough to shake us from our three-month long podcasting malaise. This ought to motivate us for at least a couple months, at which time I guess they’ll have to trade Brandon Phillips to the Nationals in order to raise my ire enough to create more audio content. Posted in Chicago Cubs, Cincinnati Reds, Houston Astros, Human League, Milwaukee Brewers, NL Central, Pittsburgh Pirates, Podcasts, Ryan Freel, St. Louis Cardinals.